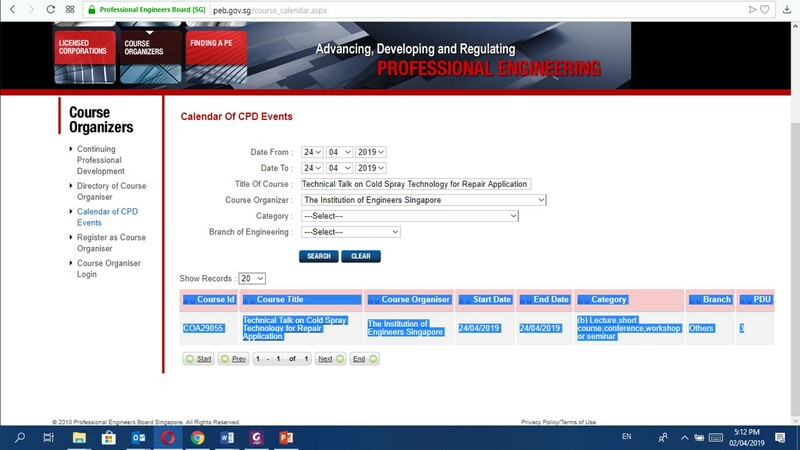 Event is now confirmed on 24 Apr, Wed: Technical Talk on Cold Spray Technology for Repair Application; Approved 3 (Three) PDU for PEB PEs & IES C.ENGs. Event is now CONFIRMED on 24 April 2019, Wednesday. 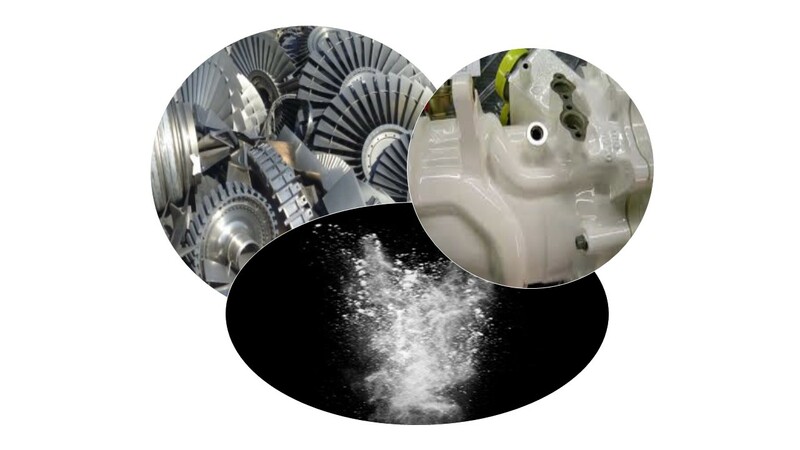 Water repellence; lightning conduction; increased abrasion resistance – all properties which can be imparted to a material through the use of coatings and surface engineering. For the flyer, timetable/ programme, please CLICK HERE. (ii) 3 (Three) IES CENGs (for engineering sectors listed in https://www.charteredengineers.sg/). I consent to the processing by Institution of Engineers, Singapore and/ or its Supporting Organisation(s) of personal data, including sensitive personal data as defined in the Data Protection Act 2012, about me for the proper purposes of Institution of Engineers, Singapore (IES) and/ or its Supporting Organisation(s). I undertake to observe the provisions of the Data Protection Act 2012 in relation to any personal data I may myself hold and process as a Members of Institution of Engineers, Singapore, and I agree to indemnify Institution of Engineers, Singapore and/ or its Supporting Organisation(s) from liability for any claims or damages that may arise from the processing of this data. For more information kindly refer to: https://www.ies.org.sg/About-IES/PDPA and/ or check directly with the Supporting Organisation(s).